Babyoye fashionable pullover style poncho for your little one is made of soft fabric to keep them warm. It features a hooded neck which helps in keeping your girl warm and trendy. 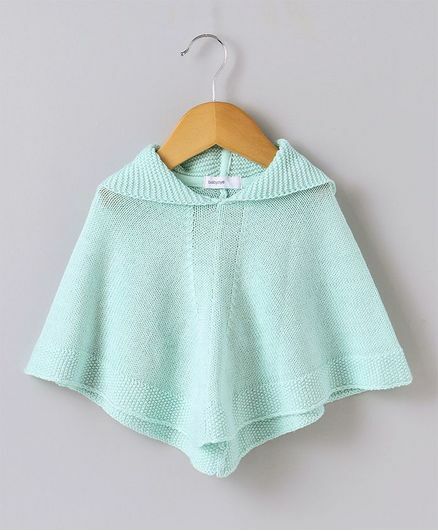 The poncho has been designed with allover knit design which gives it an attractive and stylish look. This is a must have in every little girl's winter wear collection. Styling Tip: Pair it up with jeans and cap for a perfect party look. cool colour and size is as expected delivered in time.